At Airbnb we are constantly inspired by the work of makers in our global community, and we often partner with local artists and designers to create our own products. 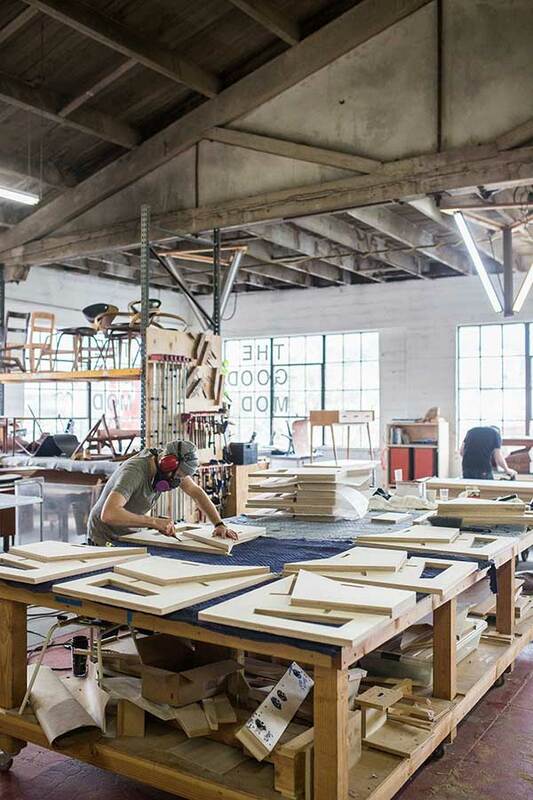 As part of Makers, a series that highlights these talented individuals, we sat down with Spencer Staley, founder of Portland-based furniture studio, The Good Mod. Spencer and his team worked with Airbnb to create custom office furniture and interiors for our Portland office. We sat down with him to discuss his design philosophy, the inspirational role of nature and materials, and how The Good Mod’s team and community perspectives influence their work. Ten years ago, Spencer Staley founded The Good Mod, but his own relationship with the furniture business began almost 20 years ago when he began collecting vintage furniture he picked up at garage sales and flea markets, which he restored and resold online. Since then, the business has grown to include original contemporary designs, made-to-order pieces, and sculptural works of art. 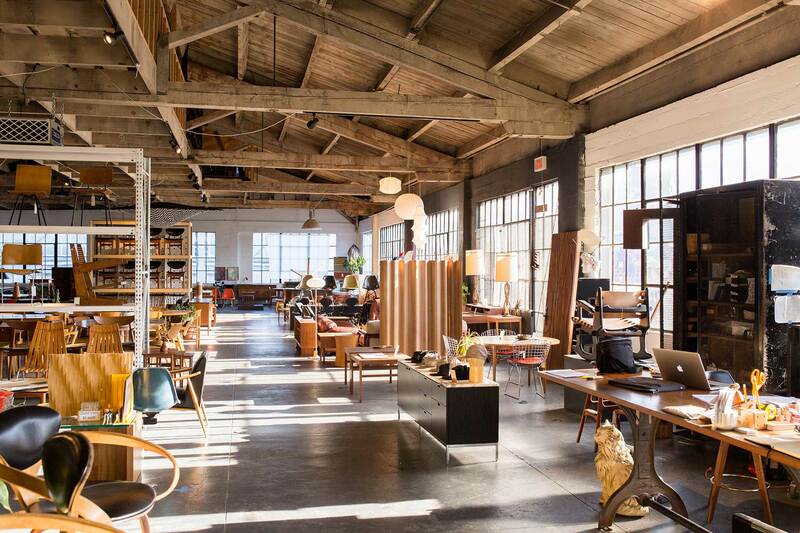 The Good Mod’s downtown Portland space holds both a ground-floor showroom that features local artists as well as the company’s offices and manufacturing facilities. Growing up in Indiana, Spencer was surrounded with creativity. “Both of my parents are teachers and artists,” he says, “They’re very creative people, and I grew up with that. It’s very inspiring to me.” It was his love of the arts and nature that brought Spencer to Oregon at 18 to study music and business somewhere that also provided frequent opportunities for snowboarding. “I didn’t go to design school,” he admits, “but I was always interested in building and designing my own furniture and sculptures.” His love of building things has led Spencer to take classes in a wide variety of subjects, from glass blowing to mold-making. Two decades later, Spencer’s restoration business has evolved into a team of 14 with a 20,000 square foot loft space where every original design is created, from development through manufacturing. Part of what The Good Mod designs for their showroom is based on their own needs and the needs of the community. 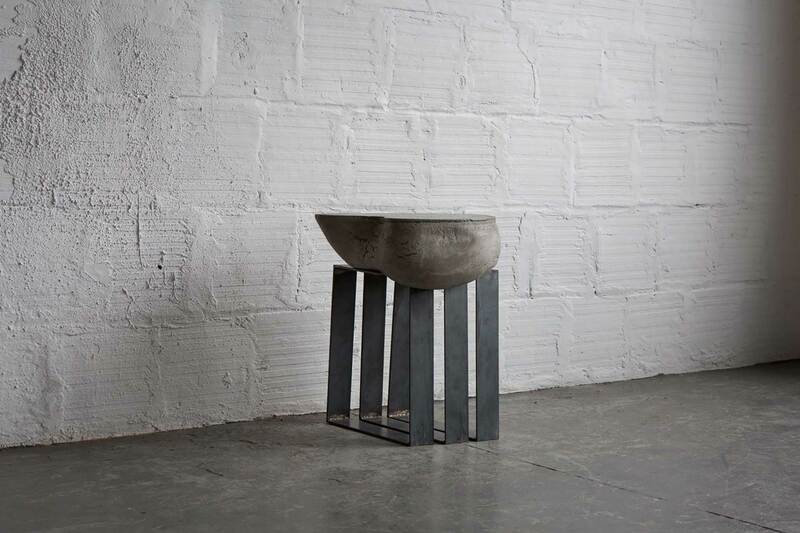 “Some of what we choose to make has to do with day-to-day requests we get and things that are hard for me to find as antiques,” like barstools, which is something he is currently working on. Inspiration also arises in everyday needs like storage solutions for their second floor manufacturing space. It often comes from thinking about how to solve problems which is fundamental to The Good Mod’s built-to-order designs as well. For the design of our Portland office, Spencer and the team worked with Airbnb to create seating that is both sculptural and functional. “We look at who is going to use it and also how, why and when they’re using it. 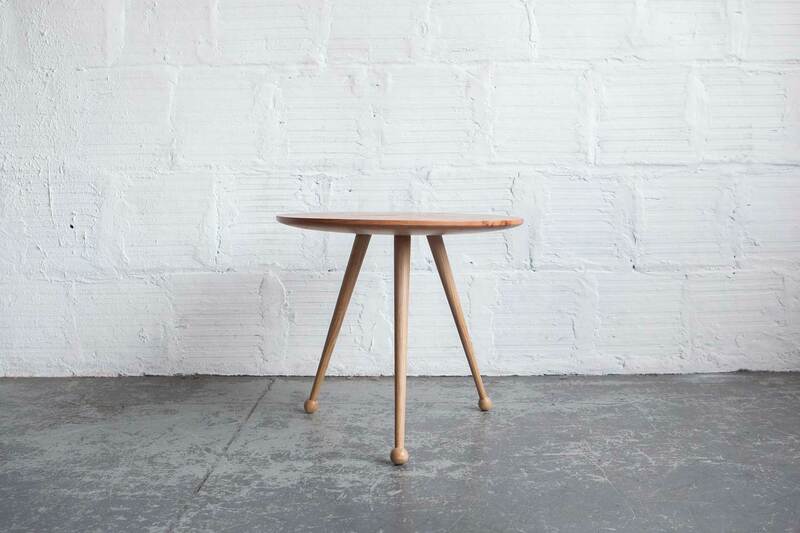 It informs the design right down to the feet we use, how they touch the floor and the geometry of a piece.” A large part of The Good Mod’s philosophy is centered around the power that the right furniture can have to shape our experiences, and the investment that goes into designing and building something that will be treasured for decades. “It’s an investment for both parties,” Spencer says, “so we keep that in mind when we make decisions about what to use and how.” The Good Mod’s contemporary design aesthetic is also shaped by two distinct factors: The materials they use and the particular perspectives of each of its team members. The Good Mod works with a wide variety of materials, blending the expected with more unconventional elements. The majority of their hardwoods are locally sourced. “A lot of trees in the Northwest are great for the kinds of furniture we’re making, and we don’t have to ship materials.” Spencer and the team make regular visits to local mills where they select each piece of wood individually with the finished product in mind. “We hand pick boards because each one is different. It might curve this way or that, or have particular knots– sometimes those are our favorites. We enjoy those flaws and we highlight them in our designs.” For Spencer, the inspiration that natural materials provide is also about how to use them most efficiently. “We’re always looking for new ways to be responsible with materials,” he asserts. “Can we use less of it or get more efficient with it? Going to stores that recycle materials is especially fun for me,” he adds, emphasizing the impact of his early restoration days on The Good Mod’s sourcing practices. 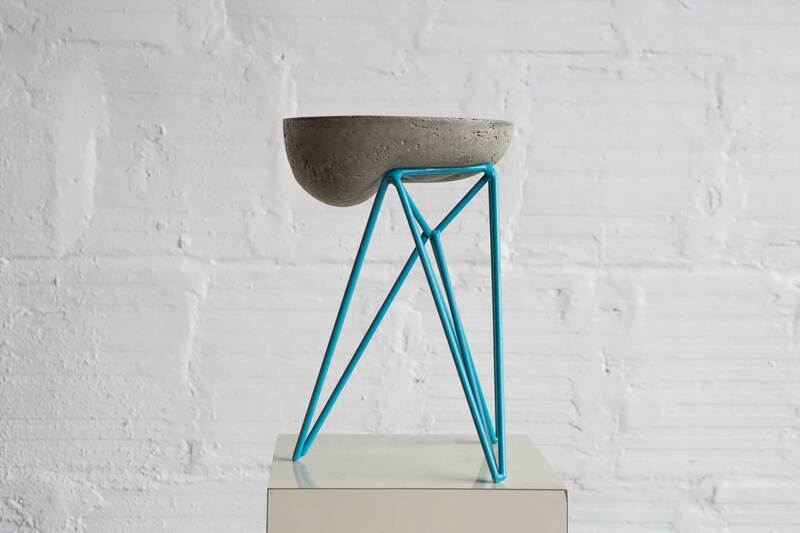 Intertwined with wood, metal and concrete, Spencer’s work showcases an interesting mix of materials that provide surprising functionality. He likens the process to cooking. “You can mix minerals with concrete to create different textures and colors,” he shares. “I’ve also used styrofoam to make concrete structures lighter,” he adds, alluding to more hidden elements of the design process that affect how something functions rather than how it looks. “When I see a new material my mind starts turning. I think about processes– Can we cut it with a saw? Can we extrude it out of a pump? Can we weld it? That’s the other side of it,” Spencer explains, “taking processes we’ve learned from other materials and applying them to new ones.” These pieces from last summer show the ways in which secondary ingredients can change outcomes of working concrete. “I used fabric as a mold for casting into wire frameworks,” Spencer says, of the organic shapes set against rigid metal structures. Charles Eames described the key to effective design as “the ability of the designer to recognize as many of the constraints as possible and his/her enthusiasm to working within these constraints.” Spencer employs similar systems thinking in his design process, spending weekends experimenting with the tools and materials available at The Good Mod’s fabrication studio. “I feel lucky that I get to experiment like this. It’s my playground,” he admits. Using leftover materials from other processes, Spencer explores how his available resources can become new products. “We discover so much by doing– what’s possible, what’s not, what takes too much time and what is almost effortless.” It’s as if each possible combination of material and tooling presents its own challenge to Spencer and the team. The end goal for each of The Good Mod’s designs is not only to create a lasting piece of furniture, but to explore the possibilities that each raw material and fabrication technique offers. Spencer is proud of the team at The Good Mod, and the ways in which they each bring their own experiences to the design process. “We have people with backgrounds in industrial design, art and architecture,” he says, “but also some were building custom motorcycles, and others came from backgrounds in metalsmithing and making jewelry.” The team collectively shares a breadth of cross disciplinary skills including construction management, computer science, textile design, political science, art restoration and animation. All of these disparate educational and work experiences make their way into how The Good Mod designs, fabricates, and operates their Portland showroom. This non-traditional approach to building a design team is also rooted in Spencer’s own path to learning about furniture design through restoration projects. The variety of backgrounds and artistic interests within the team is reflected in the way that they also use their showroom as a gallery space to show local art. Spencer cites Portland’s creative community as a source of artistic inspiration, and when he comes across work he likes, he invites the artist to sell their pieces in the showroom. We asked him about Shohei Takasaki, whose work was recently featured at The Good Mod as well as on their blog. Spencer says he meets many artists just by living in Portland, “Shohei is a friend of mine I met through community here.” Hanging local art in the showroom is representative of the symbiotic creative climate that sees local craftspeople and small businesses supporting each other’s work. “It supports the local economy, and then I get to put that money back into their businesses,” Spencer says. He also explains that local art brings good energy to the space and the staff, who enjoy the regular rotation of visual inspiration, and at the end of the day, “customers like to pair the art with the furniture they find.” For Spencer and The Good Mod, the marriage of their furniture with original work by local artists is representative of a greater design philosophy focused on investing in thoughtfully crafted objects that are built to last.